A political science, sociology, and Spanish triple major, Lemons has held a wide range of leadership positions on campus, including resi­dent assistant in Anderson House. She has also been a member of student government, helped coor­dinate the Pan-African Conference, served as director of operations for the 2012 Public Affairs Conference, and been a delegate to Model United Nations. A member of the cross-country team for four years, Lemons also played lacrosse for three seasons. She studied abroad in Brazil in 2011 and presented a paper at the International Studies Associa­tion Midwest Annual Conference in 2012. 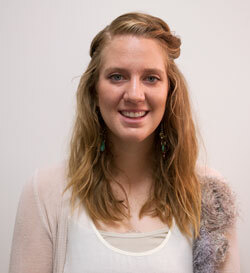 To top off her college career, she'll be studying with Principians in Peru this spring! Watch a video about Shelby Lemon’s experience at the College.